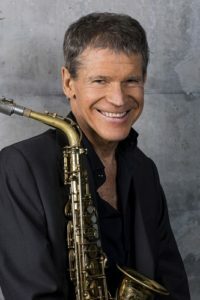 After 24 albums, six Grammy Awards, eight gold and one platinum album, David Sanborn is one of the world’s most accomplished saxophonists, known for a signature blend of jazz, pop, R&B, and other genres. A sought-after session player as well as a bandleader and recording artist, Sanborn has worked with James Brown, Stevie Wonder, Paul Simon, David Bowie, Elton John, the Eagles, the Rolling Stones, and countless other artists. His latest project focuses on straight-ahead jazz with Wycliffe Gordon on trombone, Billy Kilson on drums, Andy Ezrin on keyboards, and Ben Williams on bass. Pre-performance dinner available.